While the Moto G series have been well performing devices at a fairly affordable price, it still doesn’t qualify for entering the entry-level phones segment – that privilege is reserved for the Moto E series which has been selling well since the last 2 generations. The Moto E represents a sturdy entry level phone with good all round performance mainly over telephony without disturbing your bank balance a lot. Enter 2016, Lenovo acquired Motorola just launched the 3rd generation Moto E in India for a price of 7,999 INR. Though this was released earlier in other parts of the world, lets look at what the Moto E3 Power offers and how it compares with the competition. While the earlier generation Moto Es did gave a decent battery life, this year it will all be about the battery life. Thanks to the direction taken by the competition especially the Chinese OEMs bumping up the battery capacity in their entry level phones. Motorola has chosen to plug in a 3500mAh battery and a 10W rapid charger is supplied within the box! The screen size takes a bump up to 5″ packing in a 1280*720 pixels HD screen at 294ppi with Corning Gorilla Glass 3 protection, something that is rare in the entry level phones. Under the hood, it packs a 1GHz Quad-core MediaTek MT6375p processor accompanied by 2GB of RAM and 16GB of internal memory that can be bumped upto 32GB via a dedicated microSD slot. That slot is neighboured by Dual SIM slot that are 4G LTE enabled. The phone runs on close to stock Android 6.0 Marshmallow. It packs a 8MP rear shooter with LED flash, autofocus, panorama and HDR support. There is also a 5MP front shooter for selfies. The overall design of the Moto E3 Power is still clunky but now the tone follows the rest of its big brothers and resembles the Moto G4 series. The tall chin and forehead persist and comes at 9.5mm thickness and weighing a good 153 gms. The phone comes with a nano-coating that can protect the phone from light water splashes, something unique at this point in time, for a phone in this segment. E3 features front-facing loud speaker, dual mics and comes in Black & White colors. In terms of connectivity, it has 4G VoLTE, Wi-Fi 802.11 b/g/n, Bluetooth 4.0 LE, and GPS. Coming at a price of Rs. 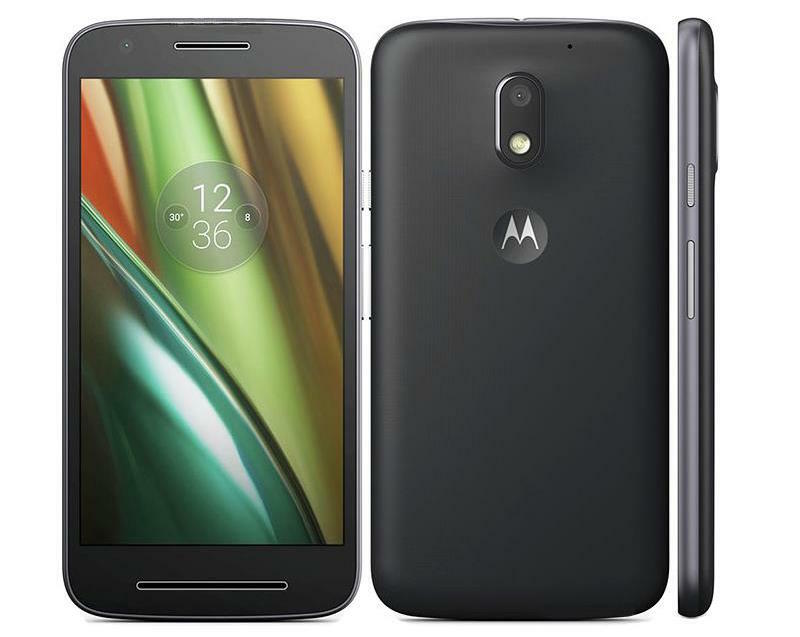 7,999, the Moto E3 Power like its G4 series siblings is not shooting for design and build. What it shoots for is reliability in the form of elongated battery life and smooth Android performance. And being a Moto phone, need we say more about the signal reception and voice clarity which has been commendable across their phones. Like its elder siblings Moto E3 is no match for Xiaomi’s Redmi 3s and such on the spec sheet but on performance front it surely will challenge them. But the inclusion of a Mediatek processor rather than the normal legacy of Snapdragon processors is a bummer to see in Moto phones and only time will tell how this will age. Moto E3 Power will be available exclusively on Flipkart starting today midnight. Would you by the Moto E3 with a Mediatek processor? Let us know! Does it support indian languages like gujarati natively?